WHAT IT TAKES TO SAVE A SOUL….. Faced martyrdom when he was boiled in huge Basin of boiling oil during a wave of persecution In Rome . However, he was miraculously delivered from death. The apostle John was later freed and returned to serve As Bishop of Edessa in modern Turkey . He died as an old man, the only apostle to die peacefully. The leader of the church in Jerusalem , was thrown over a hundred feet down from the southeast pinnacle of the Temple* when he refused to deny his faith in Christ. When they discovered that he survived the fall, his enemies beat James to death with a fuller’s club. Son of Zebedee, was a fisherman by trade when Jesus Called him to a lifetime of ministry. As a strong leader of the church, James was ultimately beheaded at Jerusalem. Also known as Nathaniel Was a missionary to Asia. He witnessed for our Lord in present day Turkey. He was crucified on an x-shaped cross in Patras, Greece. After being whipped severely by seven soldiers they tied his body to the cross with cords to prolong his agony. He continued to preach to his tormentors For two days until he expired. faced by the apostles And disciples during their times For the sake of the Faith. Faith is not believing that God can… It is knowing that God WILL! At the age of 33, Jesus was condemned to death. At the time Crucifixion was the “worst” death. Criminals were condemned to be crucified. Yet it was even more dreadful for Jesus, unlike Other criminals condemned to death by Crucifixion Jesus was to be nailed to the Cross by His hands and feet. hammered into the Wrist that tendon would tear and Break, forcing Jesus to use His back muscles to support himself so that He could Breath. Thus He was forced to Support Himself on the single nail that Impaled His feet to the cross. Jesus could Not support himself with His legs because of the pain so He was forced to alternate between arching His back then using his legs just to continue to Breath. A few minutes before He died, Jesus stopped bleeding. spear wound To His side… But do we realize His wounds Were actually made in his body. A hammer driving large nails through the wrist, the feet overlapped and an even large nail hammered through the arches, then a Roman guard piercing His side with a spear. But Before the nails and the spear Jesus was whipped and beaten. The beating so horrific that His Face was torn and his beard ripped from His face. The human adult body contains about 3.5 liters (just less than a gallon) of blood. (the cross was almost 30 kg of weight, only for its higher part, where His hands were Nailed). 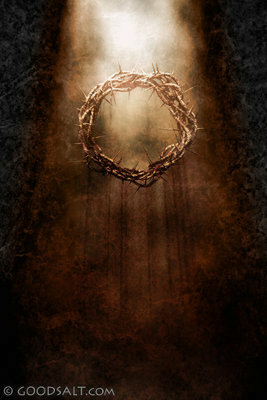 Jesus had To endure this experience, to open the Gates of Heaven, so that you can have free Access to God. It Is easy to pass jokes or foolish photos on social sites… but When it comes to God, sometimes you feel ashamed to forward To others because you are worried of what they may think About you. God Has plans for you, show all your friends what He experienced To save you. 2. Then, pass this Message to people, the more the better. 4. Take a Moment to appreciate the power of God in your life, for doing what pleases Him. He said in Matthew 10:32-33: “Everyone therefore who acknowledges me before others, I also will acknowledge before My Father in heaven; but whosoever denies Me before others, I also will deny before My Father in heaven”. Without Him, I am nothing, but with Him “I can do all things through Him who strengthens me”. -Philippians 4:13. This is the simple proof. If you love God and you are a believer and trust in salvation through Christ Jesus, send this to all those you love if you want to. 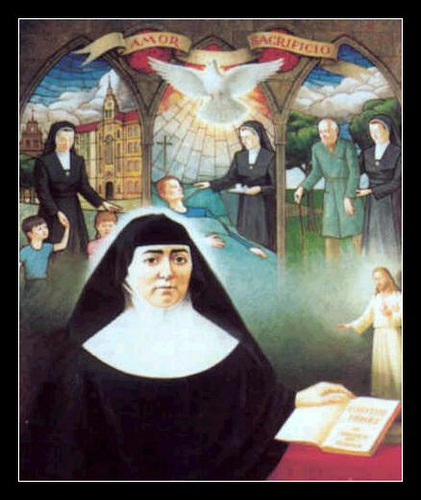 Blessed Maria Josefa of the Heart of Jesus, eldest daughter of Bernabe Sancho, chair-maker, and of Petra de Guerra, housewife, was born in Vitoria (Spain) on September 7, 1842, and was baptized the following day. According to the custom practiced then, she was confirmed two years after, on August 10, 1844. Her father died when she was seven years old, her mother prepared her for the First Communion, that she received at ten years old. At the age of fifteen she was sent to Madrid to some relatives to receive education and a more complete formation. The characteristic traits of her infancy and childhood were: a strong piety to the Eucharist and the Virgin Mary, a remarkable sensibility towards the poor and the sick and an inclination to solitude. From adulthood, Blessed Maria Josefa used to repeat: “I wasborn with a religious vocation.” Only that, looking at the circumstances, it shows that she passed various experiences but not without listening to different suggestions of wise churchmen, before finding the definitive form of her vocation. She was, in fact, to be on the point of entering to the Conceptionists contemplative of Aranjuez in 1860, but was prevented by the occurrence of a grave sickness of typhus. Her mother helped her to overcome the disappointment. On the succeeding months, it seemed to her understanding that the Lord calls her to a type of religious active life. For this, she decided to enter in the Institute of the Servants of Mary, recently founded in Madrid by Saint Soledad Torres Acosta. With the coming of the time of her profession, she was assailed with grave doubts and uncertainty on her effective call in that Institute. She opened her soul to various confessors and from their advices she felt that she was mistaken on her vocation. The meetings with the holy Archbishop Claret and the serene conversations with the same Saint Soledad Torres Acosta, gradually arrived to the decision of leaving the Institute of the Servants of Mary to give life to a new religious family, that had for its aim the exclusive assistance to the sick in the hospitals and in their homes. Sharing this same ideal with three other Servants of Mary, who with the permission of Cardinal Archbishop of Toledo, went out together with her with the same purpose. The new foundation was made in Bilbao in the spring of 1871, when Maria Josefa was twenty nine years old. Since then, and for the succeeding forty one years, she was superior of the new Institute of the Servants of Jesus. She embarked on difficult trips to visit the different communities until a long sickness confined her in the house of Bilbao. Obliged to stay on bed or in an armchair, she continued to follow the events of the various communities with in and outside Spain through a painstaking and precious correspondence. On her death, on March 20, 1912, which happened after long years of suffering, there were 43 houses founded and the number of her Sisters reached more than one thousand. Her holy death caused great impact to Bilbao and in other numerous localities where she was known through the houses of her Institute. In the same way, her funeral had an extraordinary resonance. She was buried in the municipal cemetery of Bilbao. In 1926, her fame of sanctity grew and her mortal remains were transferred to the Mother House of the Institute and have been buried in the chapel until now. 1) Great love to the Eucharist and to the Sacred Heart. 2) Profound adoration to the mystery of Redemption and intimate participation to the sufferings of Christ and to his Cross. 3) Total dedication to the service of the sick in a context of contemplative spirit. “The charity and mutual love constitute even in this life the paradise of the community. Without cross we cannot live wherever we go, because the religious life is a life of sacrifice and of abnegation. The foundation of greatest perfection is the fraternal charity.”(Don Pablo B. Aristegui, Beata Maria Josefa del Cuore di Gesù, Mensajero, Bilbao, 1992, p. 97). “Don’t believe sisters that the assistance consists only in giving medicines and food to the sick. There is another type of assistance that must never be forgotten and it is the assistance of the heart that adjusts and enter in sympathy with the person who suffers and go to meet his necessities.” (Ibidem, p. 100). “We form in the Divine Heart of Jesus our center to communicate with Him. We can do it with the frequency that we desire without fear of molesting anyone; only with Jesus will be our intimacy.” (Consejos y Maximas de Nuestra Venerada Madre Fundadora. Madrid, Imprenta Juan Bravo, 1994, p. 15). The particular footprint imprinted by Ma. Josefa to the Institute of the Servants of Jesus reflects her interior experience of a soul consecrated to the charitable service of the neighbor, especially to the sick, in a climate of contemplative spirit. 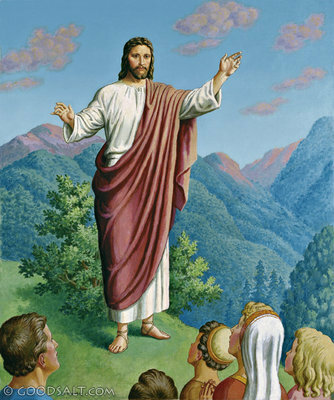 We find her concept well expressed in the Directorio de Asistencias, written by herself, where it is understood and affirmed what the Servant of Jesus provide for the sick, that she accompanies until the door of eternity, a blessing better than that of a missionary who with his preaching call those who are lost to the right path of life. “In this manner, as written in the functional manuals of our Institute, designed to procure the corporal health of the neighbor, is elevated to a great height, making our active life more perfect than that of a contemplative, as taught by the angelic teacher St. Thomas who says about the works directed to the salvation of souls derived from contemplation.” (Directorio de Asistencias de la Congregación Religiosas Siervas de Jesús de la Caridad, Vitoria, 1930, p. 9). With this spirit, the Servants of Jesus, from the death of their Mother Maria Josefa and until now, have continued their service to the sick, with a generous oblation of life which reminds that of their Foundress. Furthermore, in conformity to the progress of times and the necessities of the modern life, from the primary end of the assistance to the sick, the assistance to old persons in residences and the reception and assistance to the children in day care centers, some others were added, such as: provision of food to the indigents, centers for those afflicted with AIDS, day care centers for the aged, pastoral health care and other works of beneficence and charities, above all in the poorest places of Latin America and Asia. Today, in actuality, the 1,050 Religious of the Institute of the Servants of Jesus are present in Spain and in other countries such as Italy, France, Portugal, Chile, Argentina, Columbia, Mexico, Ecuador, Peru, Dominican Republic, Paraguay and Philippines. Few years after the death of Mother Maria Josefa, the Institute of the Servants of Jesus planned to start the Cause of the Canonization, but because of the adverse circumstances due to the Spanish civil war of 1936 and the Second World War, was able to realize the plan only after almost thirty years. a) On May 31, 1951, was the start of the Informative Ordinary Process in Bilbao. b) On January 7, 1972 the Decretum super introductione Causae. c) On September 7, 1989 was promulgated the Decretum super Virtutibus. d) On September 27, 1992 she was solemnly beatified in Saint Peter’s Square. e) On October 1, 2000 she was canonized by John Paul II.